What makes WebRTC such a compelling video communications technology for Telehealth applications? We explored this question in a webinar this week with Dr. Marty Brewster, the CEO and founder of Wellbeing Consult. 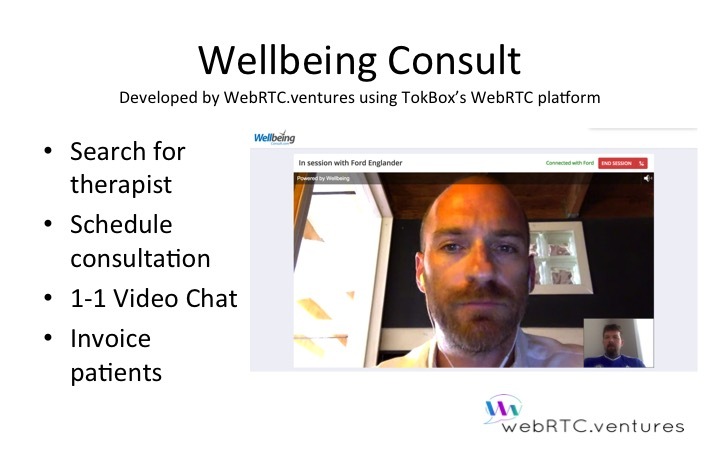 Wellbeing Consult is one of our clients here at WebRTC.ventures and we have been working on their telehealth application’s design and development, using TokBox as the WebRTC platform. It’s been a very interesting project and so I’m grateful he spent some time with us taking questions. The full video is below (as well as on Vimeo and Youtube), and a transcript containing links to some of the items discussed during the call. 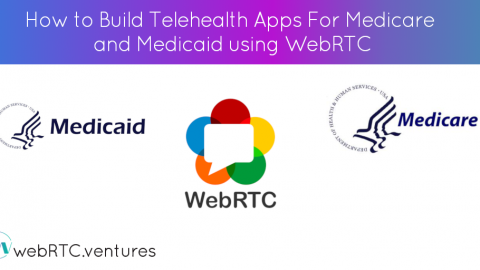 You can also see the slides on Slideshare, and if you have any follow up questions Telehealth or building your own WebRTC application, don’t hesitate to contact us at WebRTC.ventures! 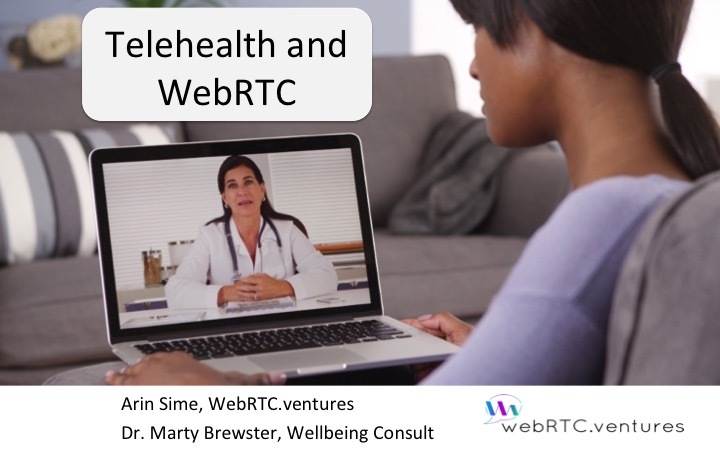 WebRTC.ventures Telehealth Webinar with Wellbeing Consult from arinsime on Vimeo. Would you like to join us for a future webinar on Telehealth, online education, event streaming, collaboration tools, or any other application of WebRTC? Just join our email list using the box on the right so we can notify you about the next event! 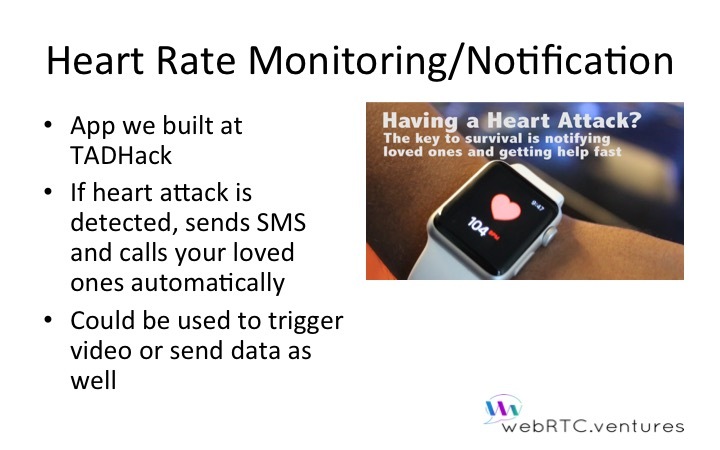 Hello everyone, I’m Arin Sime, founder and CEO of WebRTC.ventures, thanks for joining the webinar today on Telehealth and WebRTC. Joining with me today is Dr Marty Brewster, founder and CEO of Wellbeing Consult. We’re going to talk about WebRTC and Telehealth, and Marty’s experiences building Wellbeing Consult. 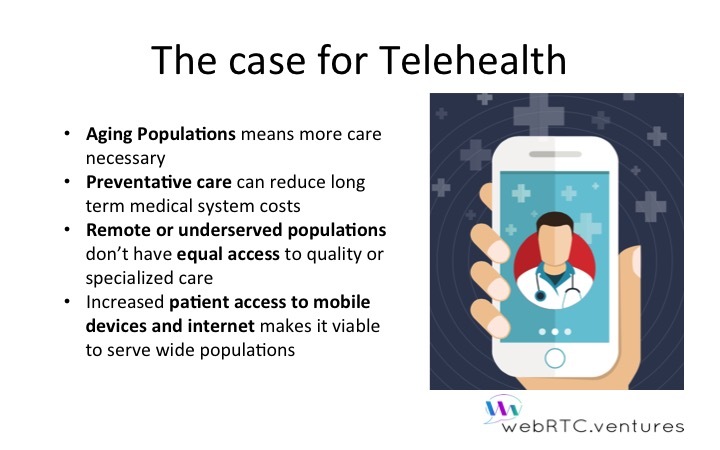 Most of you came in here today because of an interest in WebRTC and Telehealth, so you probably have this background already, but let’s quickly make the case for Telehealth. 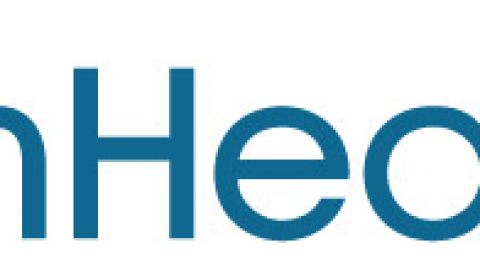 Telehealth is remotely connecting patients and medical providers in a variety of specialities. It’s incredibly important for a number of reasons. One of them is that as populations are aging worldwide, there is going to be more medical care necessary in the future. We also know that preventative care can reduce the the long term costs of medical care, and that remote or underserved populations don’t have the same equal access to high quality or specialized medical care. Finally, as patients continue to get more access to internet and mobile devices around the world, it’s becoming increasingly viable to serve large populations with Telehealth. 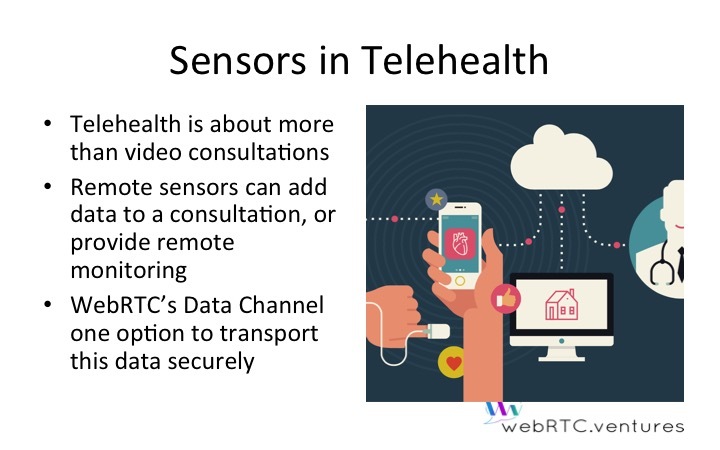 At WebRTC.ventures we are very interested in Telehealth because we provide software design and development services for a number of industry sectors around video communication applications. For Marty, this is also a topic he is very interested in, so let me tell you a little more about him. Dr Marty Brewster is an Australian trained medical practitioner with a background in remote general practice. He has spent the last two years in Micronesia working in refugee health where utilizing telehealth was a daily practice – so he grew familiar with some of the barriers to a quality experience. He’s passionate about improving access to healthcare for all communities, in particular mental health, and also changing the way health professionals work so they have greater control and can lead more fulfilling and balanced lives. This has led Marty to his current role as Founder and CEO of Wellbeing Consult. Wellbeing Consult is a platform and adomarketplace that creates online private-practices for health professionals, allowing clients to be seen anywhere, anytime. 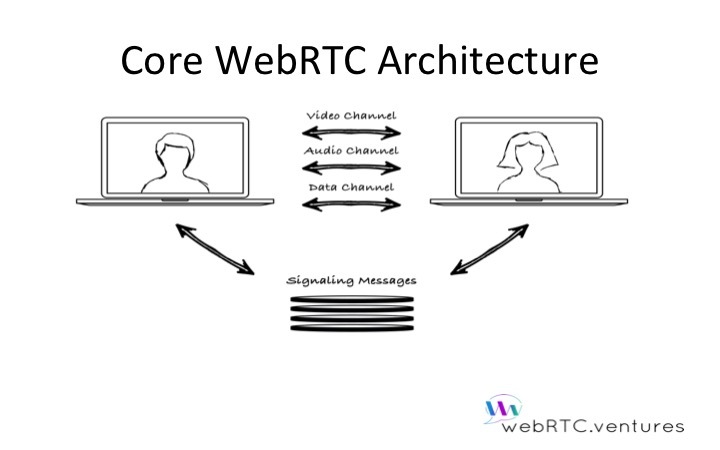 WebRTC is an HTML5 “standard” for video communications in the browser. The easiest way to describe it is that WebRTC allows you to have “skype in your browser.” WebRTC allows you to have the same sort of 1 on 1 video chat, directly in your browser, without having to use a separate tool or application like Skype. You can have those video communications directly in your application. As a medical provider, you can have the website for your medical practice, or using a tool like Wellbeing Consult, and you can have conversations with your patients directly in that website. I say “standard” in quotes because it is still an evolving standard. We’re close to version 1.0, and it is very mature and being used in a number of production situations, but it is still an evolving standard. We’ll talk more about the pros and cons of WebRTC as we go. 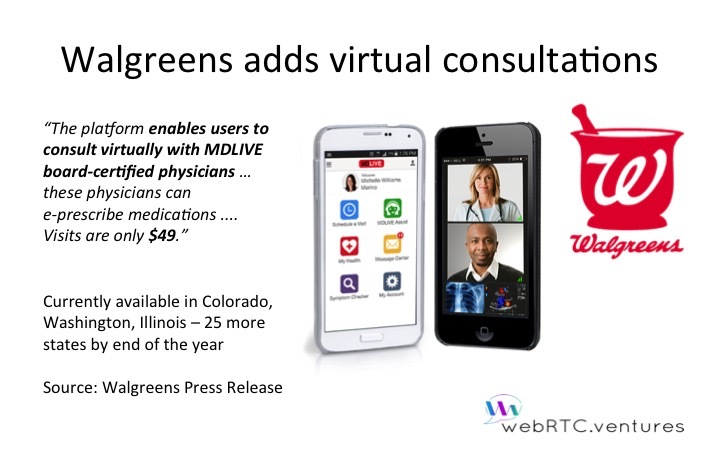 There was a recent press release from Walgreens about adding in virtual consultations between users and physicians in their mobile app. Those physicians can even prescribe medications through the mobile app. Large companies are certainly taking on Telehealth and the idea of virtual consultations in general. Another interesting case study that I’ve seen was published on the American Telemedicine Organization website, and talked about a case study from the Atlanta Georgia area. One of the things that they identified about this region and is probably true in general is that underserved populations have higher rates of pre-term births, and this can cause many health problems or have a higher risk of problems. In this Atlanta area, there were a little over 18% of mothers had pre-term babies. So what they did was start remote group consultations between mothers who have a due date in the same month. In other words, they were going to be at the same stage of pregnancy together. They would do remote group consultations with a medical professional and this was a big benefit to them because in these underserved populations it meant the mother did not need to get child care or pay for transportation to get to the appointments so they could participate more reliably and get the care and advice they needed to have a safe and healthy pregnancy. 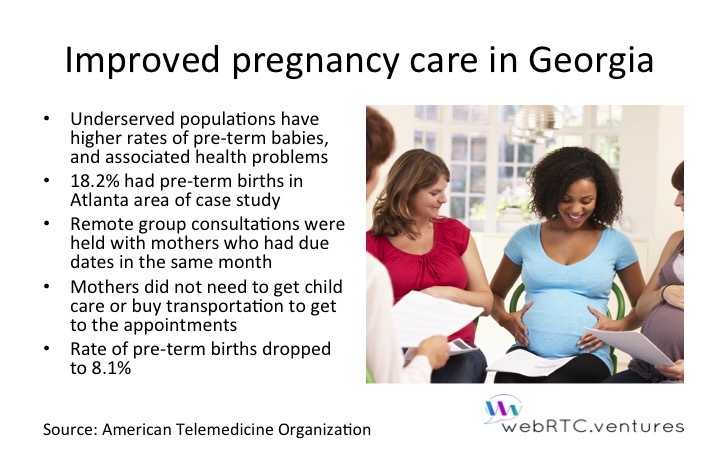 In this area, the rate of pre-term pregnancies dropped to 8% which is a big difference from 18% and shows the value of telehealth applications. 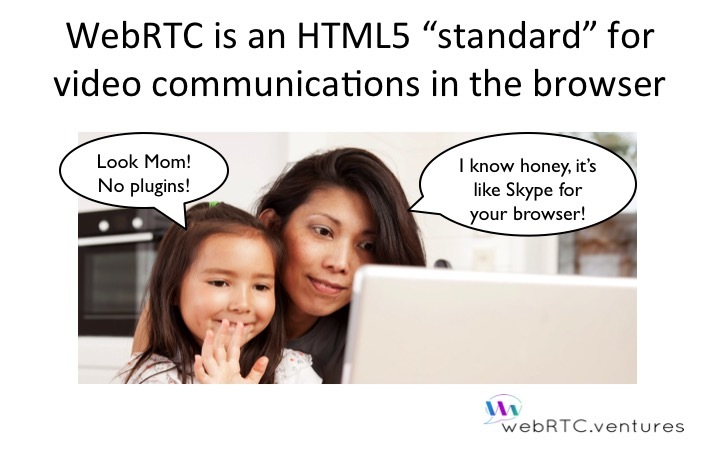 WebRTC is an HTML5 standard that is all about connecting two users in the browser. When they are connected, they have Peer to Peer (P2P) audio, video, and data between their browsers. When I say Peer to Peer, that means that all those audio, video, and data streams are being exchanged directly between their two browsers without any server sitting in between. This is a big deal for Telehealth applications because it makes it less likely that someone that someone could intercept and steal that data. The two users still have to connect to each other, and in WebRTC speak we call that “signaling.” You could think of that as the two users connecting to each other through a telephone network, and the signaling server is like the telephone book that helps them connect to each other. But once they’ve established that Peer to Peer connection, everything else is exchanged over these Peer to Peer channels without any communication through the server. 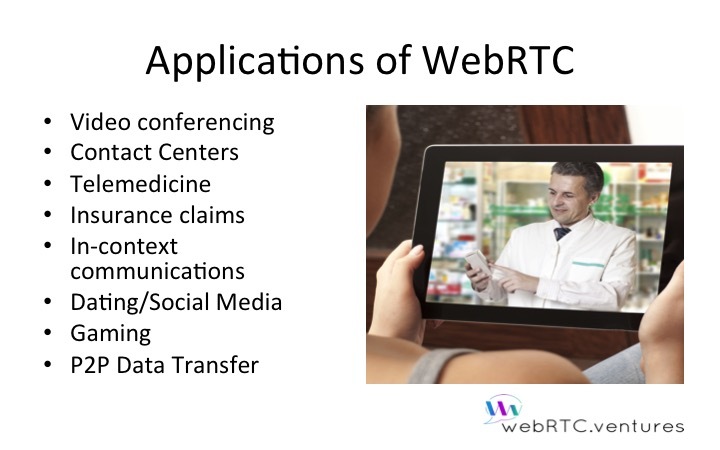 WebRTC has many applications beyond telemedicine, although that’s what we are talking about today. You can also use it for video conferencing, customer service or contact centers, remote insurance claims, and more. You could also use it for in-context communications in your corporate applications, social media or dating applications, gaming communications, even Peer to Peer file transfer. So there’s a lot you can do with WebRTC! 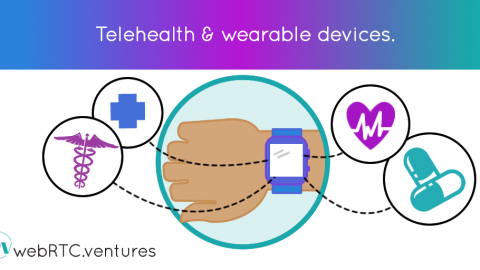 Let’s talk specifically about Wellbeing Consult, a Telehealth application using WebRTC. Marty and his team came up with the idea and the business, and our team at WebRTC.ventures did the design and development of Wellbeing Consult on top of a WebRTC platform from TokBox, which we’ll talk more about in a minute. Marty, why don’t you tell us more about yourself, and the type of work that you do which inspired you to create Wellbeing Consult? Dr Marty Brewster: The last couple of years I’ve been working in a remote Pacific island and it’s about 24 hours in an emergency before we can get a plane in there and there are only general practitioners there on the island. We have about 1200 patients and we often need to liase with specialists and medical professionals and also needing to Medevac patients. So it was pretty routine that we needed to get on the telehealth system out there and liasing with various other specialists from all around Australia. At various times, it would run very smoothly if the specialist at the other end was familiar and had all the hardware setup and the same software. But every time there was a new practitioner it would be a little too hard and take time to get them up to speed. So I thought that it must be easier to get this done and I came across WebRTC before too long. I thought WebRTC was incredible because it was so seamless and we could just drop it in the browser. People on either site of the conversation could connect and there’s no special hardware necessary. If you’ve got any computer from the last 5 years you’ve got the camera and microphone that you need. So within Wellbeing Consult you’ve got the ability to search for therapists and connect with them, schedule a consultation, do 1 on 1 video chats, and handle all of the invoicing. One of the things you might notice about the model for Wellbeing Consult is that it does have a specialization around mental health, and in general I think that’s a good idea. 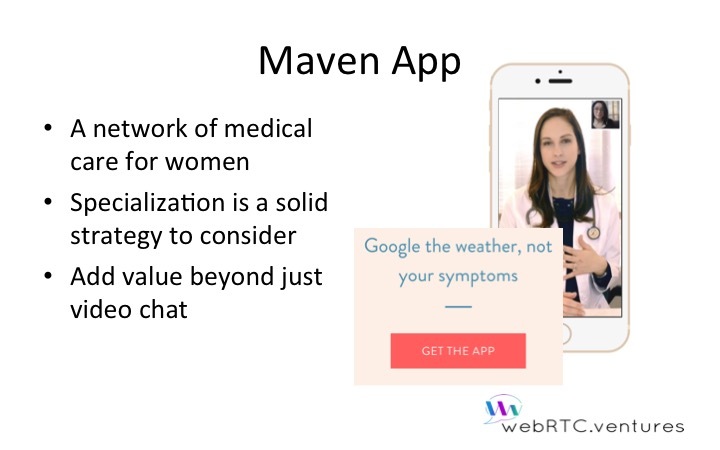 Another interesting telehealth example to point out is Maven Health Clinic, which is focused on medical care for women. It’s an example of having a specialization so that you can add value beyond just the video chat. The video chat part becomes value that you add to your customers, but you need to do more than say “we can connect you by video chat.” You need to offer them a specific community or specific marketplace of experts that they need and do more than give them video chat. WebRTC provides video chat, but it can provide it for anyone, so if you want to have a competitive advantage then looking at some specific niche for your application is really smart. Medical professionals have been reluctant to use a tool like Skype in the past because they need to adhere to privacy regulations around patient data, and they can’t guarantee that with someone else’s tool. Because all the video, audio, and data traffic of WebRTC is encrypted, and that makes it possible to build a HIPAA compliant application. HIPAA is the US law governing security around patient data, but most countries have a similar law or you should at least follow the same guidelines as a best practice anyways. And because WebRTC is Peer to Peer, there is no intermediary media server that can be easily hacked. The other nice benefit of WebRTC is simply that there’s no plugins required for the video chat part. There is a disclaimer, because no plugins are required for the Chrome, Firefox, Opera and Microsoft Edge browsers. But Internet Explorer and Safari do not support WebRTC and so plugins are necessary in those browsers. 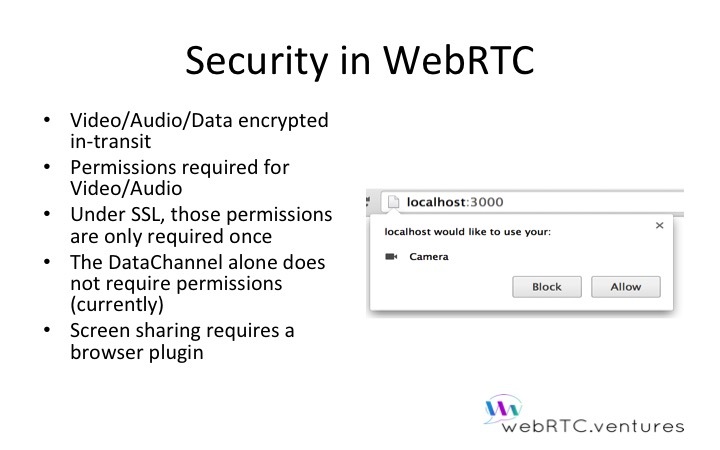 Also, if you want to use screen sharing with WebRTC, plugins are always required for that. 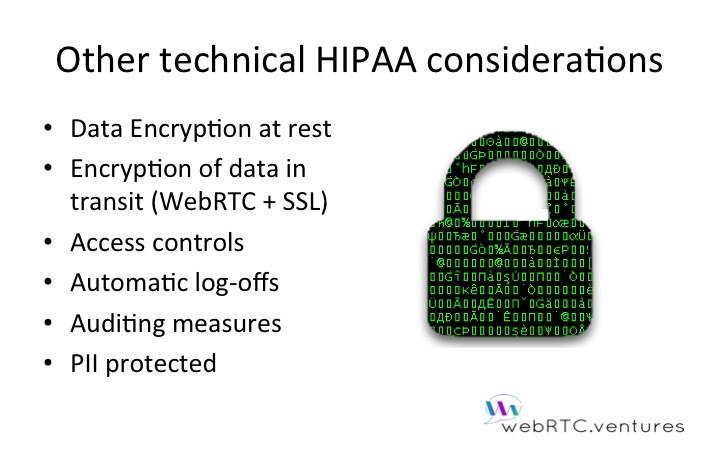 There are a lot of security considerations built into WebRTC that make it possible to achieve HIPAA compliance. Not only is all the media traffic encrypted, but the users also have to give their permission to turn on their camera and microphone. They can choose to block you from turning on their camera if they don’t want to share it with you. If you have an application that is only sharing data, and not using video or audio, then there are no permissions required from the user for that, at least currently. There is some controversy around that in the WebRTC community. 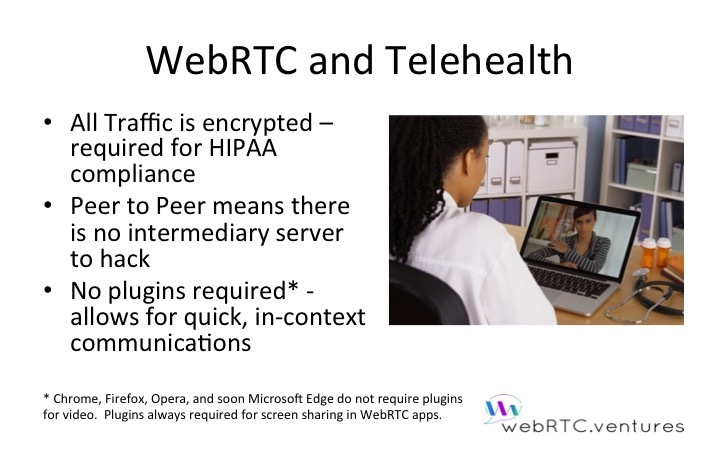 Simply using WebRTC does not make your application HIPAA compliant, that’s very important to point out. 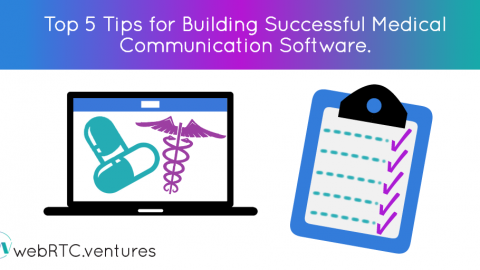 There are a lot of non technical considerations around HIPAA compliance, but here are some of the other technical considerations you need to have in mind when building your telehealth application. Data must be encrypted at rest as well as in transit. Any patient information that you store must be encrypted in the data base, and only the right people should have access controls to that data. Users should be automatically logged off the application after inactivity, and there need to be auditing measures built into the database. Who changed a patient’s medical records and when? That history of changes needs to be stored for audit purposes. In short, all Patient Identifying Information (PII) must be protected and encrypted. 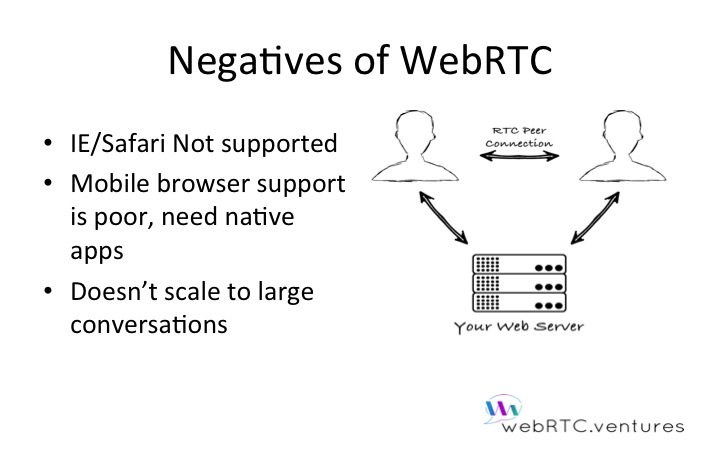 The most prominent negative of WebRTC is that Internet Explorer and Safari do not support it. The support on mobile browsers is also poor, you have to build a native application to use WebRTC on iOS, and although there is some browser support on Android devices most people still build a native application there too. WebRTC is great for 1 on 1 video chat, but it doesn’t scale well to large conversations. If your telehealth business plan is to have groups of 20 patients all with their cameras on in a group consultation session, then WebRTC will have a hard time handling that many connections at once. You need to consider more complicated solutions with a media server involved. For Wellbeing Consult we built on top of a WebRTC API (application programming interface) from a company called TokBox. There are a number of companies that do this, but TokBox is one of our personal favorites. TokBox is backed by Telefonica and have been doing this for quite some time, they are early leaders in the space. WebRTC.ventures (a division of development company AgilityFeat) is part of the TokBox development partner program. What TokBox provides is mobile API’s for mobile devices, which is a big help. 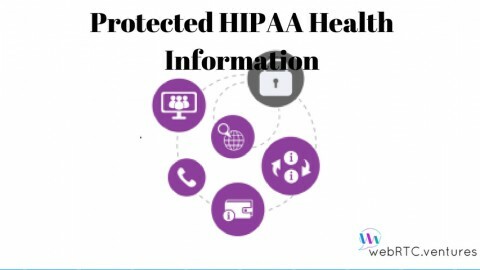 All of the signaling is encrypted, which is important for HIPAA compliance. One of the big things they help with is Firewall Traversal – helping your users to connect their browsers directly even over corporate networks with extra security, like a hospital may have. That help with establishing the Peer to Peer connection between users is crucial. HIPAA compliance is possible with TokBox, but does require following best practices. In their FAQ, TokBox provides best practices for building HIPAA compliant applications using their WebRTC platform. 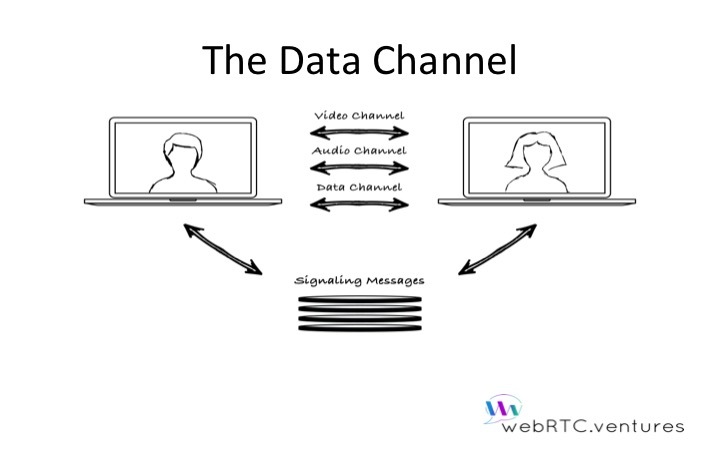 One last aspect of WebRTC that I want to mention before we go into more Q&A with Marty is that there is this Data Channel part. People get very excited understandably about the video chat part of WebRTC, but it does also allow the Peer to Peer exchange of data between the browsers and that has a number of interesting applications. We use WebRTC’s Data Channel for text chat in Wellbeing Consult, you could also use it for transferring files directly between the doctor and patient. That file could be an x-ray or other private patient information and using the Data Channel ensures that it’s not accidentally left on a public server somewhere. We want to add more value to our telehealth applications than just video chat, and sensors can be a big part of that. Remote sensors can additional data points and value to those conversations, and remote monitoring can provide access to patient information even outside of the conversations. 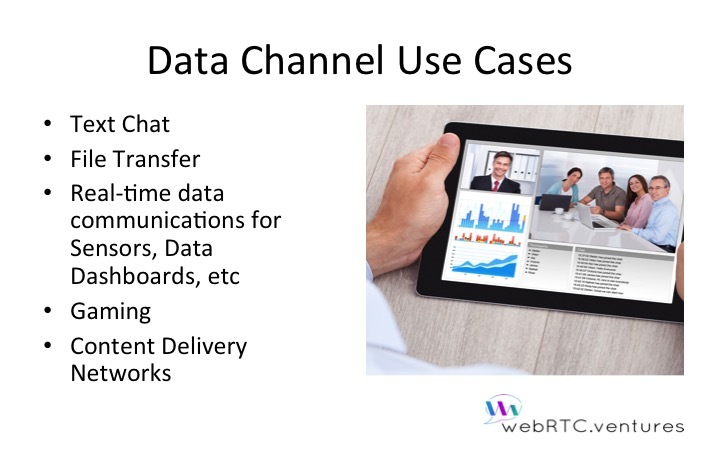 The WebRTC Data Channel is an interesting option to consider for transporting that patient data securely, as well as other data exchange protocols such as WebSockets. I want to briefly mention a mobile application we built recently as part of a hackathon that using an Apple Watch can monitor your heart beat for irregularities. If it detects that you may be having a heart attack, it can send an SMS and make a phone call directly to your loved ones. This particular app we built doesn’t have WebRTC in it, but you could also imagine it being used to trigger the camera to see what’s the scene around this person who may have just collapsed or to send some other data over the Data Channel to medical professionals. 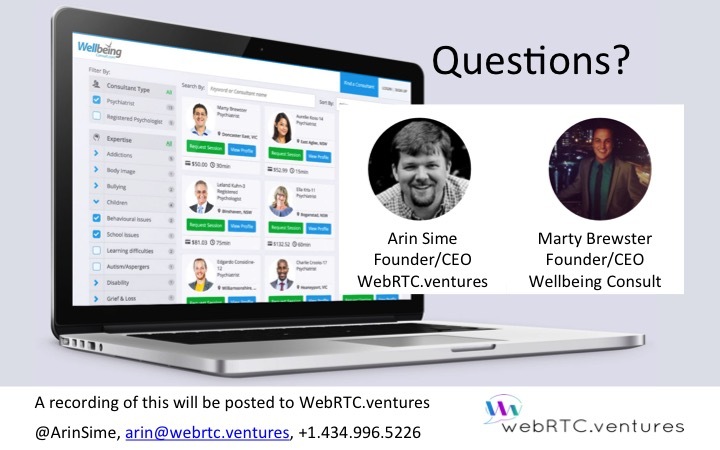 Marty, you told us a little about yourself and how you came up with the idea for Wellbeing Consult based on the work that you do … Now that you’ve been through the process of building a WebRTC application, what good or bad surprises did you encounter? Dr Marty Brewster: The one major surprise for us is that we were able to get it done! We come from non-technical backgrounds. When I talk about “we” I mean myself and my brother who has been helping me all along. Neither of us are technical, but we sort of had the idea and contacted Arin to see if this is possible. We just kept adding in more requests like “not sure if we can do this, but we wouldn’t mind…”. The big piece of advice is that Nick and I have started going back and doing some basic course to learn programming and Ruby on Rails for non-programmers. I’m finding that is really helpful, and I wish I had dont it 6 months ago at the beginning. That would have made it easier to have the conversations, even though it’s been easy. Sure, certainly having some exposure to the concepts of software development and what it takes to build a Minimum Viable Product can certainly help when talking to us developers about what is possible! What sort of feedback have you received about the application so far? Dr Marty Brewster: We took our MVP to a conference recently for the Australian Pyschological Society and were exhibitors and running demos for people. The feedback was overwhelmingly positive, and that audience couldn’t believe how seamless it could be. In that audience, people are accustomed to using Skype and about 90% of telehealth consultations are still done using Skype. 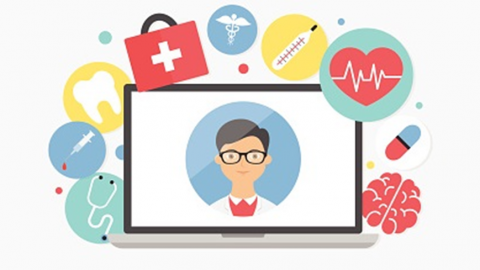 That in itself is a huge barrier as we discussed earlier, since a lot of people don’t even consider doing telehealth consultations because they feel that Skype is the only option and they realize security is an issue there. So when they saw that there is this consultation directly through the browser and I was explaining about the additional security features, they were kind of blown away. And then when you add on all the additional things you can build around that core communications experience, and you can add on invoicing within the app, messaging, calendaring, the clients can search for profiles and choose the exact consultant that they want, those sorts of things that you can build around the core experience … A lot of the pyschologists coulnd’t comprehend that was available now. It was pretty cool! That is very cool! Have you found that the concept of Wellbeing Consult or telehealth in general … is it an easier sell to medical professionals or the patients? Do you feel that one side benefits from that more than the other? Dr Marty Brewster: Our business model is really to make it as valuable as possible for the consultants. That’s who we’re targeting. We feel like the consultants are our customer and the patients are our customers’ cusotmers. So if we keep our customers happy, the consultants, then we are going to automatically keep the patients happy. It doesn’t necessarily work the other way around though, so we’ve built it in mind with the consultant types. Having said that, we’ve still found that some pyschologists get the value straight away. The patients are all the same, we’re getting good feedback. But then we’ve got this new category of consultants that are just resistant for whatever reason. I don’t know if we’ll ever get them on board because they are just resistant to telehealth, they prefer the face to face model. Our consultants see the value the best, and the patients are all on board. That’s an interesting point to make, that if you build a great tool for the patients, but the consultants and medical professionals are not seeing the value then obviously that’s a key part of the equation that you don’t want to miss. But making sure that you satisfy the needs and the features of the consultants then anything you do to delight them as your customers should also delight their customers, the patients. You mentioned that there are some consultants who are not interested in the idea of remote consultations, they prefer face to face. 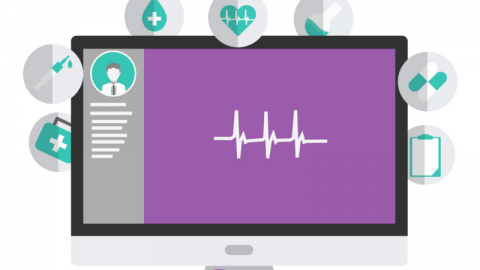 Are there certain situations where telehealth is not useful or not well suited to? Dr Marty Brewster: We are focusing initially on mental health, and it works great for non-acute situations. The reason it works quite well is that a lot of mental health is talking therapy. Face to face will always be the gold standard but you can get most of the way there with the technology that’s available today. Where it doesn’t work with mental health is in acute or emergency settings. We advise on every page of our site that if you are in a suicidal or pyschosis type of emergency then this is not the platform you should be using and you need to call emergency services (000 in Australia or 911 in the United States). However, if there is some sort of unforeseen circumstance where the consultant needs to get emergency contact information for the client, it’s built into Wellbeing Consult. There’s an emergency contact available in the client profile that they have to fill out, and the address is there so that if they have to send an ambulance over to the house. So there are some safeguards that we’ve built in. And that’s one of the advantages of using WebRTC is that you can build that sort of thing in around the chat functionality. That’s a great point that there are some situations where Telehealth may not be appropriate, but it sounds like it’s really great for the routine appointments and regular check ups that sometimes people miss and so having this as an option adds a lot of value for patients to do that remotely. Dr Marty Brewster: Yes, particularly in Australia where it’s such a big country. It’s not uncommon for people to live 6 hours away from the nearest mental health professional. And people do drive that far sometimes. 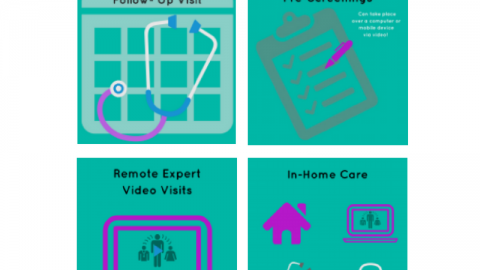 People in Australia are generally accepting of Telehealth as a possibile solution – they’ve used it before, it’s been clumsy, but they can see that it’s all starting to come together. Yes, that’s a good point – the geography of Australia lends itself particularly well to Telehealth. Although, I would say too, perhaps in a city like Sydney or New York or Washington DC or San Francisco, it might take 6 hours just to get across the city! Another situation where telehealth could be a huge advantage. Dr Marty Brewster: Yes, that can happen in Sydney! My last question then … what are the next steps for Wellbeing Consult, where do you see it going in the future? Dr Marty Brewster: We’re starting with mental health professionals but there is definitely scope to expand it to a full scope of medical providers, with general practitioners in the primary medical system, and then secondary providers and specialists. And also the allied health system like nutritionishts, speech pathologists. Everything is showing that there is a great use for telemedicine even in hands on professions like physiotherapy. We’re open to adding in all those and building a helath system in the cloud, with referral systems between doctors and online prespcriptions. As more technologies come on board, they will be able to do more remote measurements too with some of the apps you were showing with the Internet of Things. This will make it possible to examine a patient without even being in the room. We’ve had conversations previously Arin, where you know I’m excited about the next big step beyond WebRTC, which is virtual reality. You could put on a headset and be transported to a virtual world, maybe a particularly therapeutic setting like the beach. I’m not sure how far away that is, maybe 5 or 10 years, but we certainly want to be on the forefront of that whenever it comes about. Yes, certainly the future of healthcare in general is going to be very interesting as populations age and technology continues to advance. I look forward to having a consultation with you virtually or in person on a beach of Australia or Costa Rica. This is definitely an exciting time to be in this space and a good time to be an early adopter. Thanks again for your time Marty, I appreciate you joining us from Australia today. We’ve loved working with you and so it’s always a pleasure talking with you. Reach out to us anytime with additional questions or if you are interested in building your own WebRTC based Telehealth application. Our team at WebRTC.ventures does complete design and development, testing and deployment of WebRTC based video communication applications. Follow @ArinSime or WebRTCventures on Twitter, contact me at arin@webrtc.ventures, or give me a call in the US at 434 996 5226. Thanks for joining us today!